I laughed out loud...quite the Lothario you got there! Love your sense of humor, Paula. Wrt! Wrt! Hey baby! My girls would surely swoon over such a handsome devil. LOL! I just love you girl! Thanks for that laugh! 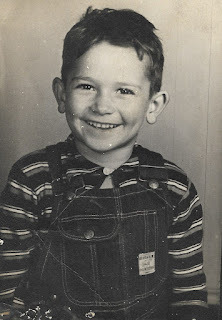 When I first came over here, the picture didn't come up...only the words...."Boy the hens are in trouble tonight"... I knew it was going to be good! He's decked out and ready! Happy Valentines' Day Hamburger and Hens! Hope this one goes through! Am I the only one having trouble with Google commenter today? Happy Valentine' Day to you Farm Chick Paula&Hubby! LOL!!! Now if only my Silver would greet me with such nice things instead of the "'tude". Love the picture!! Thanks for the laugh! Hamburger is a little lady killer! Oh paula that is so funny, I love it! You have a wicked sense of humour? Hope Mr Fraker is as well prepared as your rooster! So very cute - made me smile! Hope you all have a happy Valentine's Day! 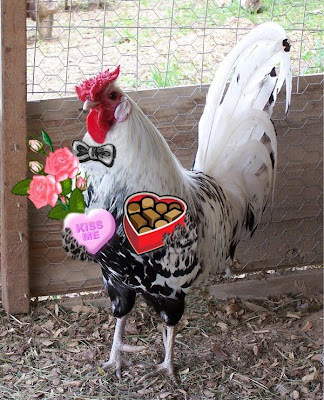 I was kinda hoping my rooster would give me all that for Valentine's Day. Happy Valentine's Day to you! Your rooster is HOT! HeHe....this one definitely made me laugh out loud!! Happy Valentine's Day to you and your hubby!! Now thats my kinda guy! I think my girls would love a visit from him!!!! Great Picture!!!! Where for art thou, Hamburger? Plying them with chocolates and roses? What a rouge he is! I want to hear every detail of the trip!!! Love it ! Thanks for a good laugh and a few stray thoughts! I wish my geese had such a handsome suitor as this guy!! 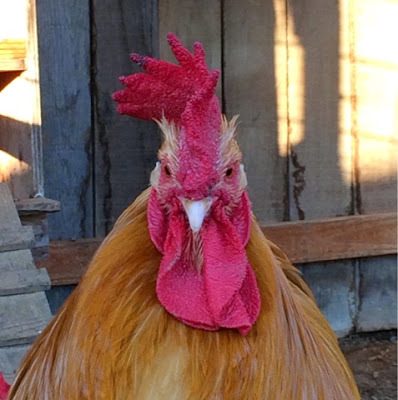 Thanks, Paula, I needed the laugh...he is one handsome rooster! That is one Duded up Rooster. Look out Hens! Paula, you are hysterical! That is so hilarious!!! My hubby was at the tractor pull in Louisville every night this week. He always goes every year to get the yearly fix...plus it's his birthday week. That is hysterical!!!! I bet there was some PARTY out in that coop!! Hope you had a great time at the farm show! So funny! Hope your Valentines Day was special! Woo! Hoo! There's my boy all dressed up for Valentine's Day. What a hoot! Your link back to Valentine Hamburger is adorable...I'm so sorry to hear that he is gone. Farm life can be so rewarding, and so heartbreaking at the same time.